Depth . 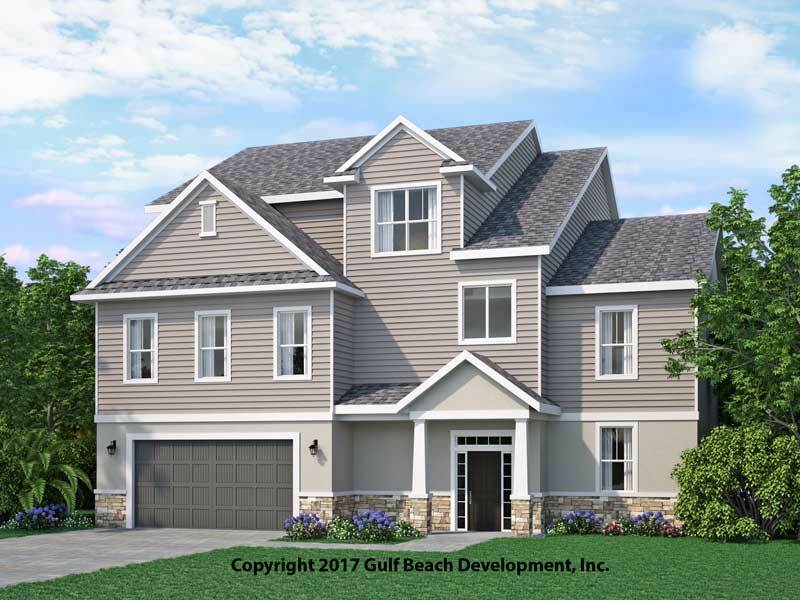 . . . . 51'-0"
This Passion Tide new construction house plan was designed to be placed in a possible flood zone area. 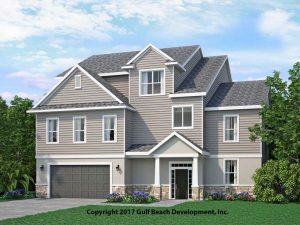 The first floor only contains a very small finished foyer entrance the immediately leads to an outdoor living area, garage area or the open stairs going to the main 2nd floor living area. 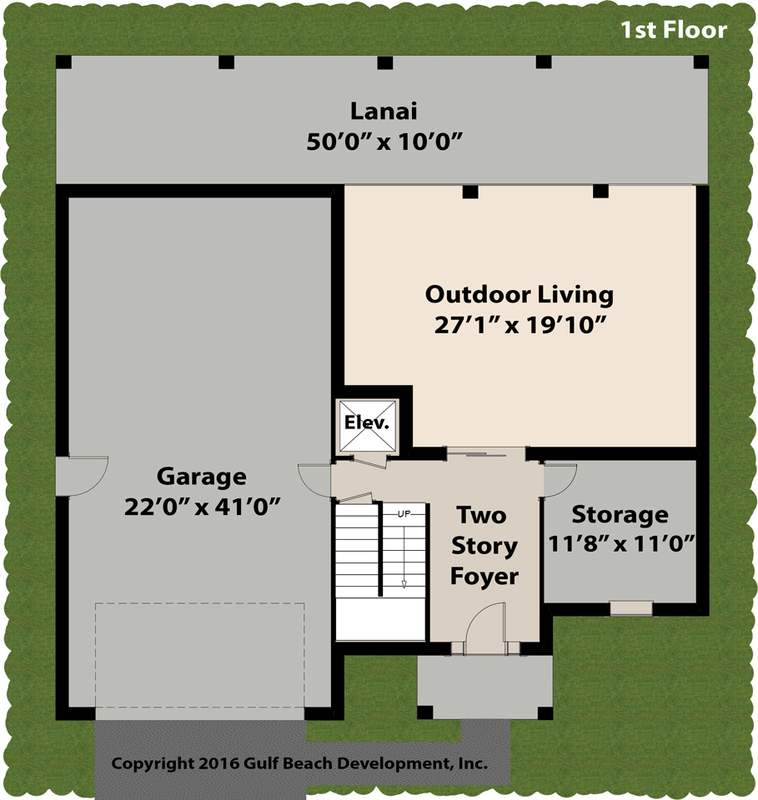 The garage offers enclosed storage for four cars plus extra enclosed room for additional storage or hurricane shelter. 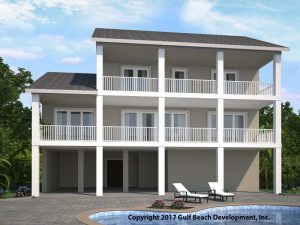 The 2nd floor offers the main living area with large impact rated glass sliders offering the option for great views depending on your lot location. 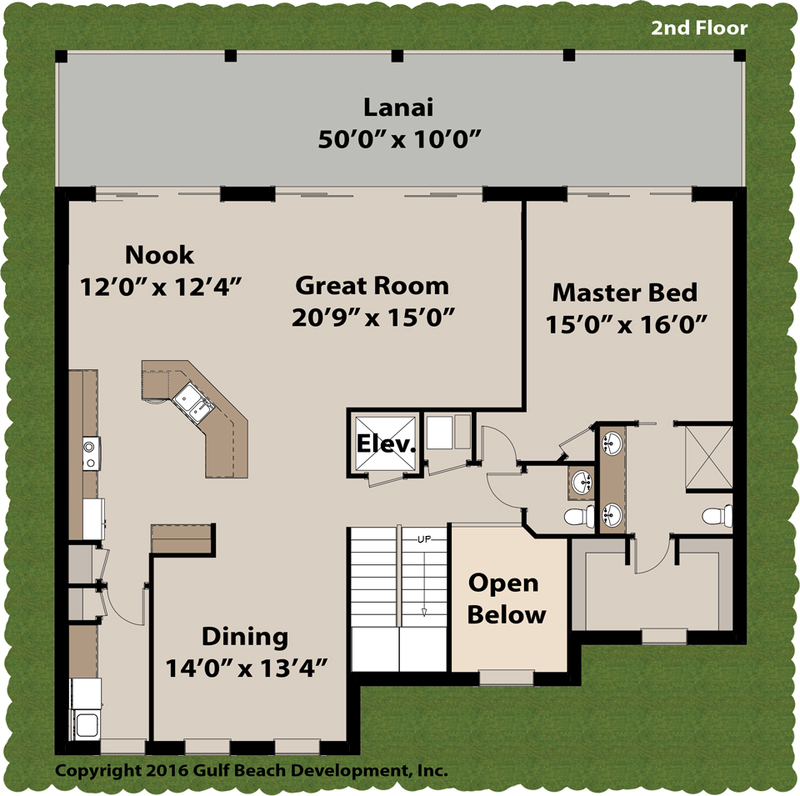 In addition the 2nd floor also offers open kitchen and nook with a formal dining area. 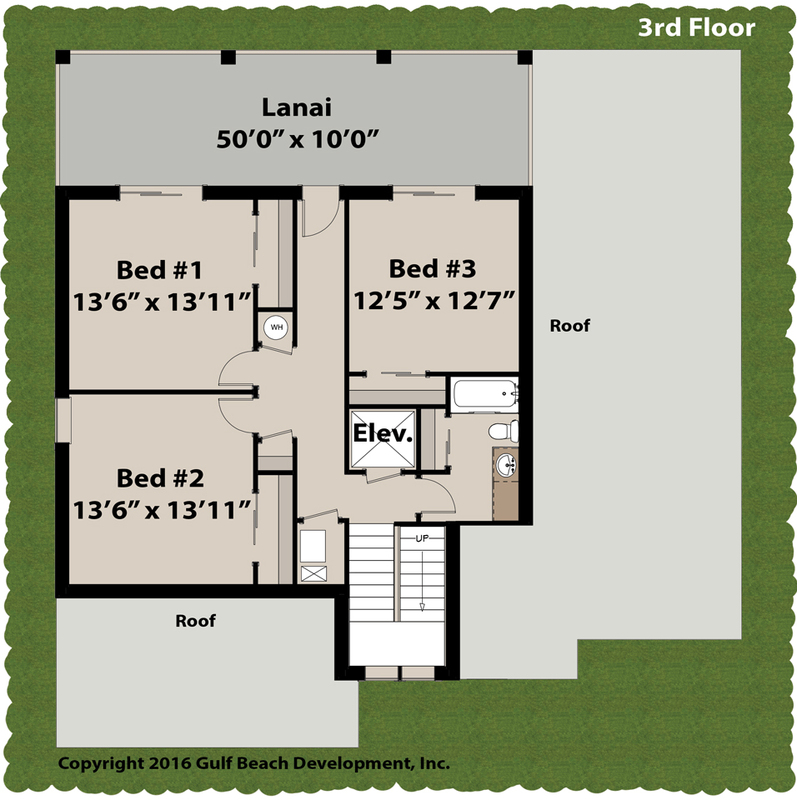 The third floor elevated house plan contains three additional bedrooms and a top level outdoor covered lanai. 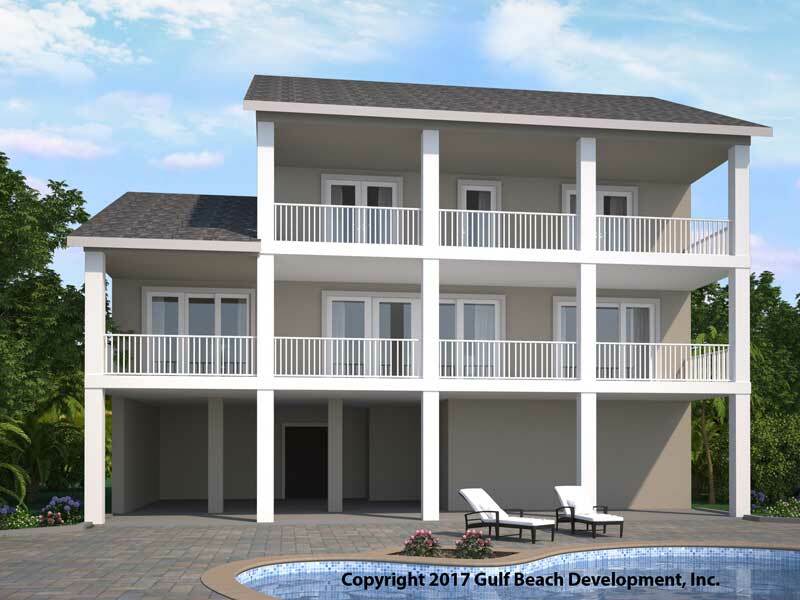 All our Coastal home plans are elevated and designed to be placed on water front building lots in flood zones but could be built on any lot. 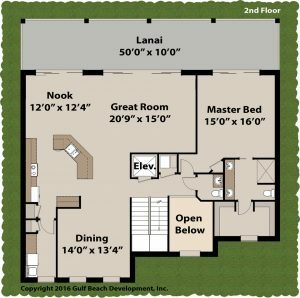 The most common elevated home plans leave a garage area that exceeds any person’s needs so we focused on making this space usable. 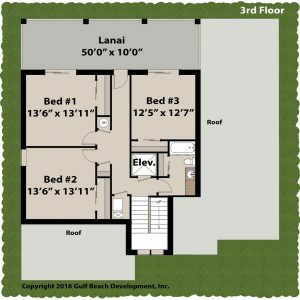 The Passion Tide House plan offers a 20’x27’ semi private outdoor living that shades you from the rain or sun but still allows you to enjoy the weather and any outdoor activities you may have. 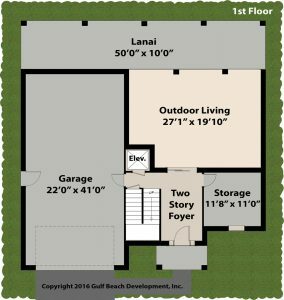 Like all Gast Homes house plans you can be better prepared during a hurricane or high winds because of our fortified house features. Exceeding Fortified building Gold standards are upgrade features which include; Impact rated exterior window and doors, (ICF) Insulated Concrete Form construction with solid poured rebar reinforced concrete walls four times stronger than CMU block walls, Short Soffit and sealed attic avoiding uplift, Continuous load path using metal truss straps fully wrapped and Advantech coated zip sheathing using taped seams and ring shank nails. 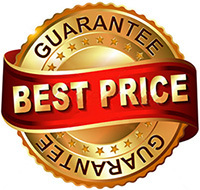 As a semi-custom home builder we can offer many options to modify each house plan and as a BPI QCI state energy home inspector you can rest assure your home is energy efficient. 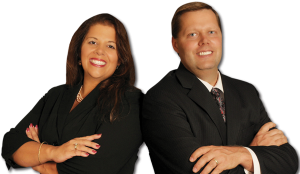 Please reach out to your certified Gast Homes real estate sales staff for full details and options. 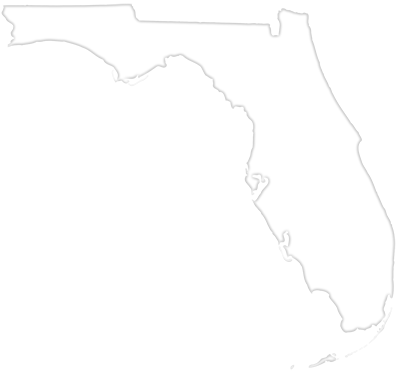 With twenty five locations across the state of Florida we can offer affordable new construction homes unmatched by other builders.